Why November 2 Should Be Declared A Holiday? I stumbled upon this post on my twitter feed today and it seems interesting. souls of the departed. It is their day. 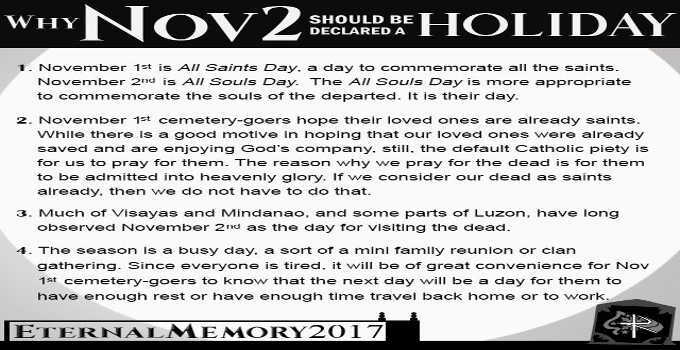 November 2nd as the day for visiting the dead. The season is a busy day, a sort of mini family reunion or clan gathering. enough time to travel back home or to work. November 2 is usually declared by the President as special non working days. congress of the Philippines to that effect.